When Michael Law opened Bourbon & Bones, a custom smoke shack whose fragrant fumes add a whole new scent to the Frelard neighborhood, he brought this love of fusion food with him. Inspired by his Dominican mother, Law’s style of cooking fits somewhere between BBQ, Cajun, American and Creole. Before it opened, Law had a 10-foot-long, 10-foot-high walk-in smokehouse custom-built for Bourbon & Bones. Smoking his own meat, Law uses everything available; the end pieces of the brisket are chopped and added to the baked beans and the collard greens, as an example. In addition to the Dominican meets Southern style grub available at Bourbon & Bones, you will find just about every kind of bourbon on the shelf. Offering over 90 different spirits, as well as moonshine on tap, signature cocktails and tasting flights, Michael Law and his crew have created something special. This isn’t a roadside BBQ shack, this is whiskey, brisket, collard greens, pork shoulder and sweet heat ribs served Southern style! 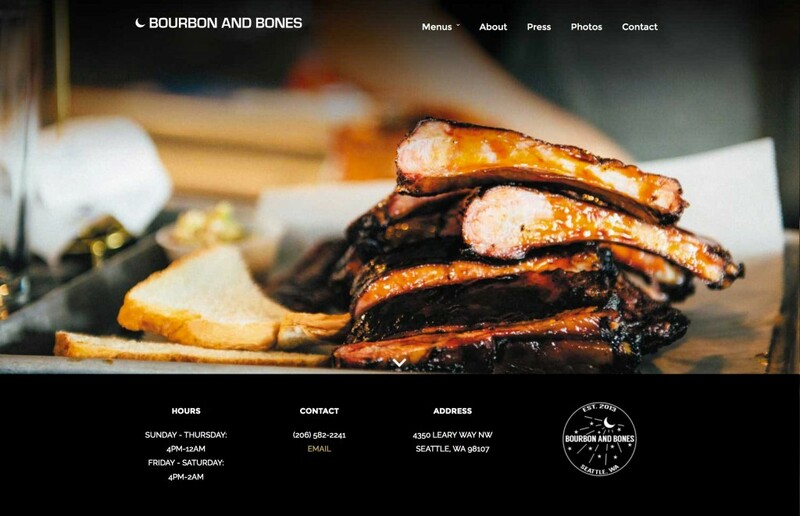 Check out the new Bourbon & Bones website.